Burlish Park Primary is an inclusive school and we foster a climate that supports flexible and creative responses to our pupil’s individual needs. We recognise that pupils learn differently and we provide learning opportunities so that all children’s needs are met and they can achieve their full potential. Above all, we embrace the entitlement of all pupils to a broad and balanced education and believe that all children are entitled to experience and enjoy success, regardless of learning style, difference or ability. However, we recognise that any of our pupils might, at sometime during their time with us, experience barriers to their participation and achievement, and as a consequence fail to make adequate progress. We have efficient systems to identify when the progress of an individual pupil or particular groups of pupils is vulnerable. There are then a wide range of provisions available to ensure the pupil’s needs are addressed and their rate of progress increased. It is our belief that a pupil’s progress is strongest when the school, individual pupil and parents work collaboratively. To this end, the pupils themselves and parents of all children are informed and consulted and their views are taken into account. 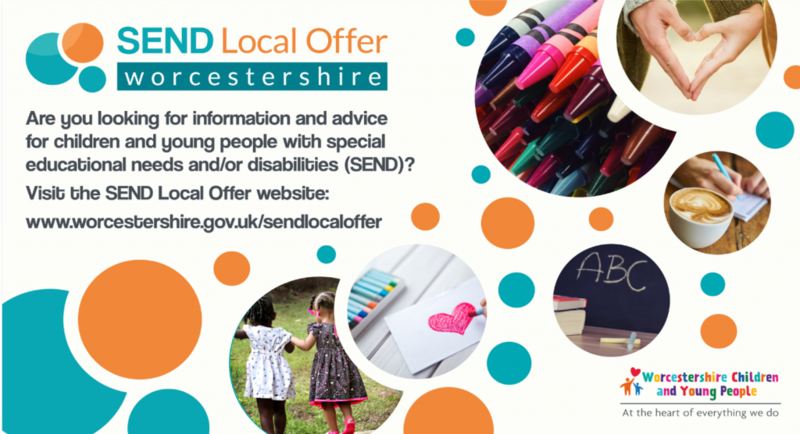 We work towards the Worcestershire Local Offer. See our Policies for more information on support.